A car ploughed into a house today (Sunday, December 31). The accident happened at around noon. Firefighters, police and other emergency services were called to the scene in Wilferforce Close, Pease Pottage, Crawley. 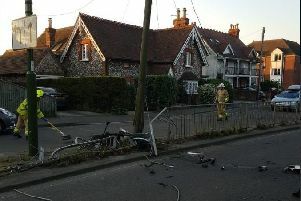 Sussex Police said they received reports that an elderly driver had driven into the property.